Something for the long weekend. As seen here. 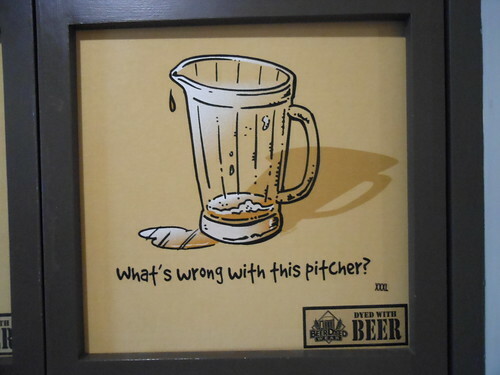 As the weekend approaches ..
Stella Artois makes some pretty good beer, and they're also behind some advertising that stands out. Below is a video meant to be passed around online, built upon a campaign theme of "9 Steps." The above mini-movie is one thing, but I actually prefer this spot from 2010, which goes out of its way to play up the character of ordering and serving a beer in a tavern. 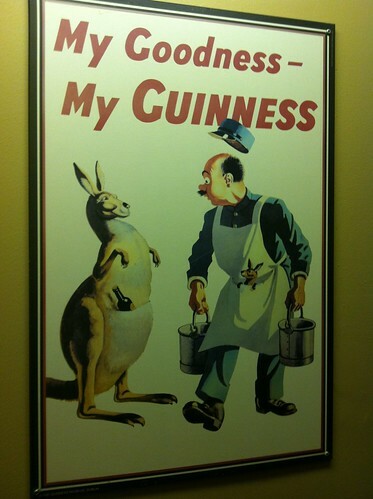 If you've been up and down the stairs at the Duke of Duckworth, you've probably seen (perhaps bumped into, depending your speed and intake) this Guinness poster. We darted out of the house this evening, to take advantage of full sunlight and a pleasant evening. 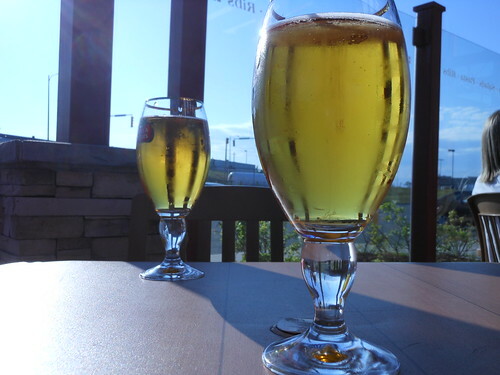 We got to eat outdoors, too, and I took this shot of two glasses of beer, just after they arrived at the table. This is one of those July moments that will probably mean a whole lot more in February! 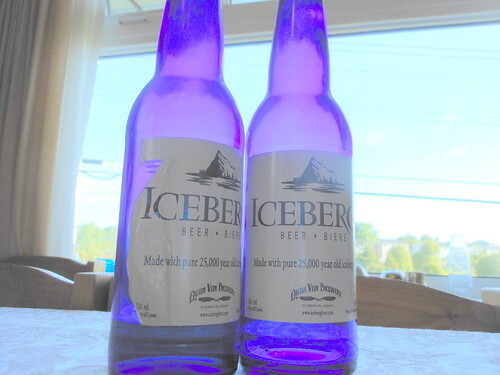 Last week, a few of my friends were talking about this particular line of beer from Quidi Vidi Brewery. It's a bit of special edition, I gather, in that it's not produced in mass quantities, and it doesn't last long when it's made. The is the blue glass, I think, which fits a minimalist (by beer-box standards) style of packaging. I spotted this one on the road recently. It has that nice "I'm off the clock" feel to it, no? I was given a book recently on international beers, and it makes for great reading, and dreaming ... if only because almost all of them are quite beyond my reach. But one can imagine. I love a lot of the names, like Old Hooky, a traditionally brewed beer from Oxfordshire. "Heineken: Social networking since 1873." This ad was rolled out a few months ago, and it's quite clever. But if you're like me, the H logo in the creative may have thrown you. It turns out to be a Dutch social network called Hyves, which evidently must have top-shelf brand awareness at home. The world's strongest - and strangest - beers. I saw this infographic at Guy Kawasaki's Holy Kaw! I don't read magazines often, but when I do, I prefer The New Yorker. That's a load of rubbish, of course ... not about the New Yorker, which I really do quite like, but the first part. I spend a fortune on magazines, and even though I let a subscription here or there lapse, and I have piles of magazines to recycle to other readers, I keep reading them. His name is Jonathan Goldsmith, and while sharks may not dedicate a week to him, he has had quite a life of his own. Check it out. Meanwhile, a list of things about that other guy .. in a clip reel for Dos Equis.